Cemetery Dance Publications, 2001-11-01. Hardcover. Good. 9.4606 inches 6.1417 inches. Signed by author!. Cemetery Dance Publications. Collectible - Very Good. Signed Copy Collectible - Very Good. Very Good dust jacket. Signed by author on signed edition page. Cemetery Dance Publications, 2001-11-01. Hardcover. Good. Cemetery Dance Publications, 2001-11-01. Hardcover. Used:Good. Abingdon, MD: Cemetery Dance, 2001. First edition/first printing. Limited to 1000 copies signed by the author. Book is in fine (unread) condition with a fine unclipped dustjacket protected in a Brodart wrapper. An Attractive Copy! Please feel free to ask me for pictures or more information, Thanks.. Signed by Author. First Edition. Hard Cover. New/New. Baltimore: Cemetery Dance [CD] Publications. Very Good in Very Good dust jacket. 2001. First Edition. Hardcover. 158767033X . First edition. Limited to 1000 copies signed by the author. 421 pages. VG or better copy [upper corners bumped] in otherwise Near Fine or better Dust Wrapper with scratching and a short corner tear to the rear panel. ; Signed by Author . Baltimore: Cemetery Dance [CD] Publications. Near Fine in Near Fine dust jacket. 2001. First Edition. Hardcover. 158767033X . First edition. Limited to 1000 copies signed by the author. 421 pages. Near Fine copy [very light spine end bumping] in Near Fine or better Dust Wrapper with a bar code/ISBN sticker affixed to the rear panel. ; Signed by Author . Limited edition of 1000 signed copies. The 420 page books has some fore edge sag. The dust jacket has minor shelfwear. 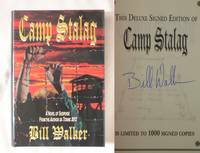 "I never thought anyone could make being in a Luftwaffe Stalag appealing, but Bill Walker's ingenious page-turner has found a way." Baltimore: Cemetery Dance [CD] Publications. Fine in Fine dust jacket. 2001. First Edition. Hardcover. 158767033X . First edition. Limited to 1000 copies signed by the author. 421 pages. Fine copy in Fine Dust Wrapper. ; Signed by Author . Baltimore: Cemetery Dance [CD] Publications. Fine in Fine dust jacket. 2001. First Edition. Hardcover. 158767033X . First edition. Limited to 1000 copies signed by the author. 421 pages. Fine [as new] copy in Fine [as new] Dust Wrapper. ; Signed by Author . Cemetery Dance Publications, 2001-11. Signed Limited First Edition. Hardcover. As New/As New. Signed. Signed by the author and limited to 1,000 copies. "I never thought anyone could make being in a Luftwaffe Stalag appealing, but Bill Walker's ingenious page-turner has found a way." 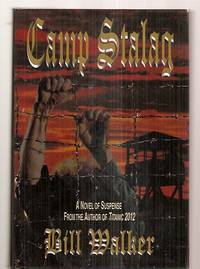 --David Westheimer, former POW: Stalag Luft III & bestselling author of Von Ryan's ExpressWhen journalist and aspiring war novelist Frank Murphy returns from the 10th Annual World War Convention, he has no idea that the mysterious videotape he holds in his hands will change his life forever. He has been handpicked to participate in a specialized experiment in mass psychology and a unique form of Living History:"Spend two weeks with three hundred other men in an authentic replica of a World War Two German POW Camp!" the tape says. "Come, and experience the thrill of a lifetime! 2001-11-01. Good. Ships with Tracking Number! INTERNATIONAL WORLDWIDE Shipping available. May not contain Access Codes or Supplements. May be ex-library. Shipping & Handling by region. Buy with confidence, excellent customer service! 2001-11-01. New. Ships with Tracking Number! INTERNATIONAL WORLDWIDE Shipping available. Buy with confidence, excellent customer service! Cemetery Dance Publications, 2001-11. Signed Lettered First Edition. Hardcover - Leather. As New/As New. 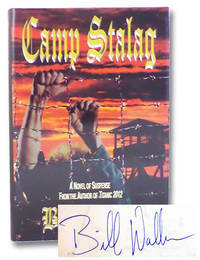 Traycased Lettered Edition of 26 signed and lettered copies bound in leather with a satin ribbon page marker and additional full-color artwork and includes a prisoner of war medal engraved with matching letter. The book and medal are copy "X" out of print in this state. "I never thought anyone could make being in a Luftwaffe Stalag appealing, but Bill Walker's ingenious page-turner has found a way." --David Westheimer, former POW: Stalag Luft III & bestselling author of Von Ryan's ExpressWhen journalist and aspiring war novelist Frank Murphy returns from the 10th Annual World War Convention, he has no idea that the mysterious videotape he holds in his hands will change his life forever. He has been handpicked to participate in a specialized experiment in mass psychology and a unique form of Living History.